Which is the best Borve of all? The Daily Gael reveals all! The least pressing question in the Hebrides is finally answered! Which is the best Borve of all? The answers are revealed below. We guess the Vikings were more interested in the pillage sesh than actually coming up with imaginative placenames, so there are literally tonnes of Borves in the Hebrides. 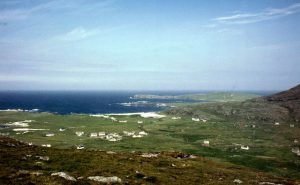 Borve comes from the Old Norse Borgh, with the same roots as Burg, meaning a fort/dùn. 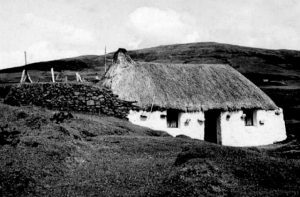 Guaranteed there will be at least one person from the village with Borve as a nickname or suffix. Points were added for having an actual fort, points off for just general stuff the judges were annoyed by. A ruined castle. Still more habitable than Balivanich. Sixth. Wikipedia states that it is on the A859. 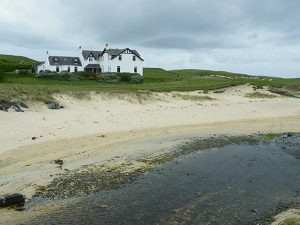 Has a lodge owned by some toffs who bought Taransay because, hey, that’s 21st Century Scotland folks. Fifth place. Did well in the initial voting as it has an identifiable fort and looks a little like Hobbiton from the road up there on the hill. 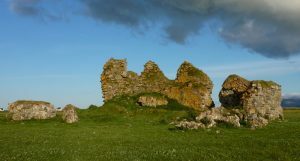 Dùn Bhorbh was where the locals tricked the Faeries into leaving the castle by shouting that it was on fire. They took the huff when they realised they had been tricked. Skyeman’s a flyman right enough. Fourth place. Lots of cairns and old crap lying about, so people obviously felt it was worth protecting at some point. Wikipedia excitedly states that it is on the A888 which rumour has it was numbered in this way as a tribute to the year Celtic was established. Third place. 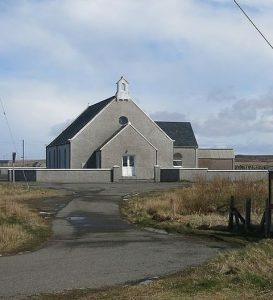 So good they named it three times, Fivepenny Borve, High Borve and Melbost Borve, Borve has two bridges and the Clan Macquarrie Centre as well as Free Church. Points off for not even being in the top 3 places on the West-Side of Lewis beginning with B. (Bragar, Brù, Barvas all polled higher). Second place. Based on the fact it’s technically in Harris and not Uist, and they actually managed to get a Canmore entry for the famous Forecasting Stone, the judges are unanimous. 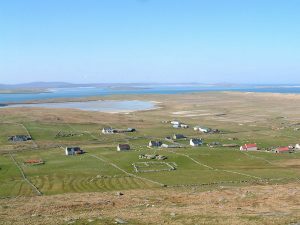 Borve, Berneray is the winner.